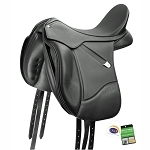 Seat Size 16.5" 17 17.5" 18"
Your saddle comes with the MEDIUM gullet plate inserted but we also include an EASY-CHANGE Complete Gullet Kit (MSRP $119.99) containing all 5 gullet plates, tools, instruction booklet and Gullet Gauge. Buy today to take advantage of this amazing limited time offer! The Bates Dressage Saddle features traditional lines and an elegant appearance while offering the innovation to ensure optimal comfort to the horse and balance for the rider. The deep seat, narrow twist and greater width behind the rider, ensure increased support, while the Adjustable Agronomic Stirrup Bar and Flexibloc System allow you to adjust to your optimal dressage position. 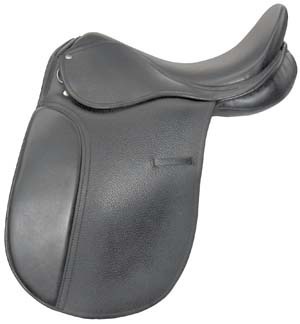 The Bates generous panel, maximizes the weight bearing surface on the horse's back resulting in a reduction in pressure per square inch, thus increased comfort for the horse. Additionally, the CAIR Cushion System uses air technology which allows the panels to mold over the horse's back as needed giving an instant custom fit. Coupled with a wide and even channel, the performance panels support the horse's working muscles and maximize movement in the shoulder area. 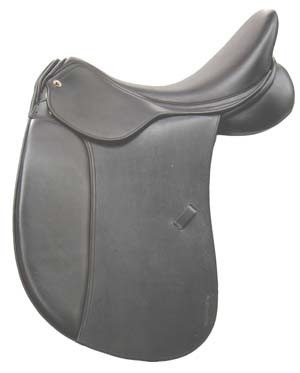 Seat sizes 16.5", 17", 17.5", 18"
Fine Quality Performance Leather - enhances rider grip with optimal suppleness and beauty. Check out our Bates video below and find more information on the Bates Total Fitting Solution HERE. Our price is lowest MSRP! The warranty card should be retained by the purchaser, along with the original receipt as the reseller will require it should warranty work be required. 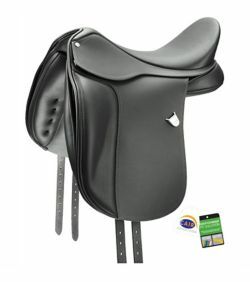 Saddles which require a repair under warranty should ideally be returned to the reseller from which they were purchased. Associated shipping costs are the owner’s responsibility. 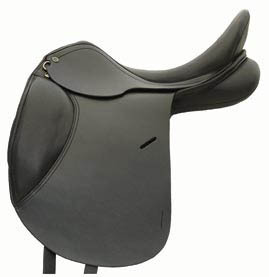 All fitting adjustments and saddle alterations should be made in accordance with the manufacturer’s recommendations.